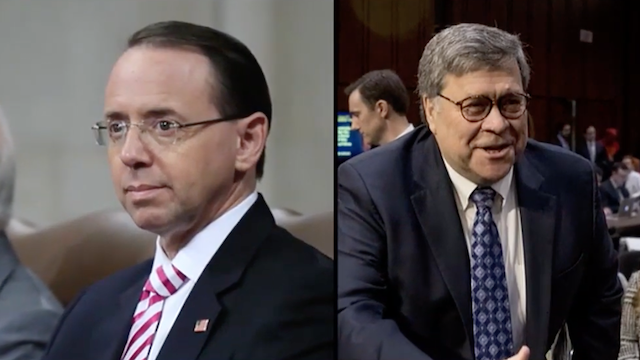 Deputy AG Rod Rosenstein is the key player in the silent coup against Pres Trump at the Justice Dept who has been able to skate through without being held accountable. From FISA abuses to Mueller’s illegal appointment (a crime must be committed for Special Counsel to be appointed and launch and investigation) to never appearing before Congress to explain himself. All roads of the coup lead back to Rosenstein, he was the one who convinced for AG Sessions to recuse himself from just about everything, literally his entire job, while he worked with Deep State operatives to remove Trump from office. AG Bill Barr KNOWS everything we know and much more so what does he do? He is keeping Rosenstein in power allowing ‘business as usual at Deep State’ vs firing him as Judicial Watch’s Tom Fitton explained on “Lou Dobbs Tonight”.